It's time for another Scrappy Mom's Terrific Tuesday Challenge. This weeks challenge was to make your project 'wobble' with an Action Wobble! 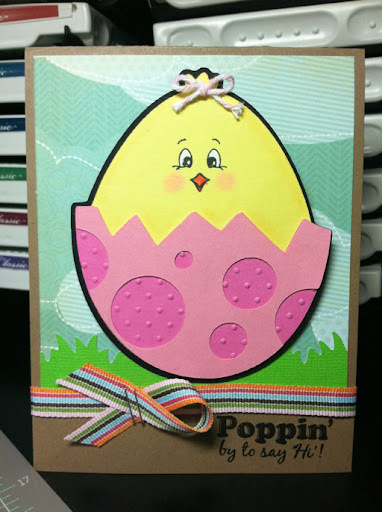 Here is the quick card I made to get me in the mood for Easter, which is right around the corner! 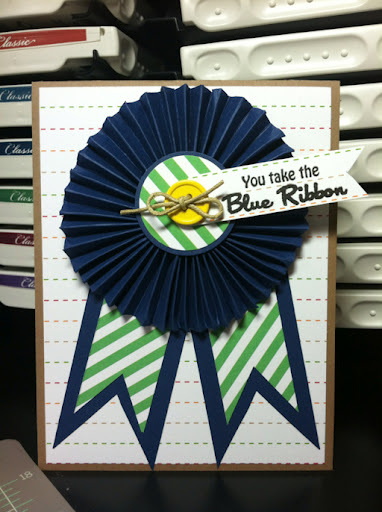 Be sure to head over to the Scrappy Mom's blog to view all of the designers great projects!! Hope your all doing well. I apologize for being Mia but being pregnant has made me lose my mojo a bit. So I've been trying not to force my self to craft cause then I tend to get frustrated. 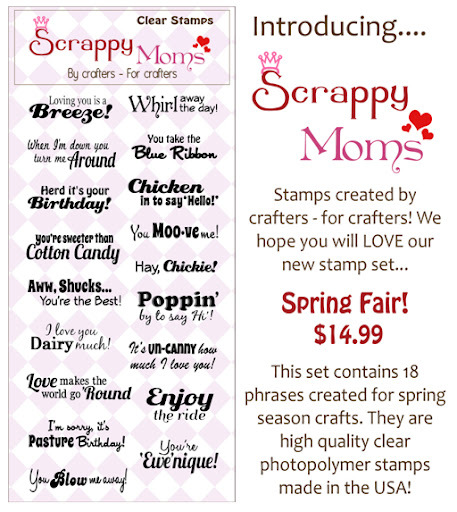 Anywho.... Scrappy Mom's has done it get again and release another FABULOUS stamp set. This is just perfect for Spring Time called Spring Fair. And they are expanding their product lineup :). 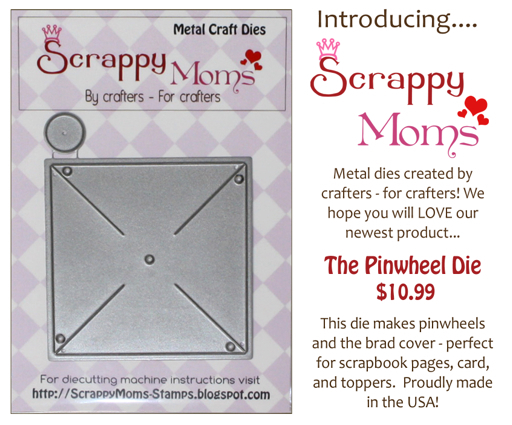 They have come out with a pinwheel die!!! Omg I love it! Check them both out below! 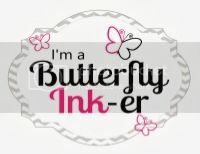 Be sure to check out the other Scrappy Mom Sisters from my right sidebar by clicking on their name. Check back for more sneak peaks in the upcoming week!